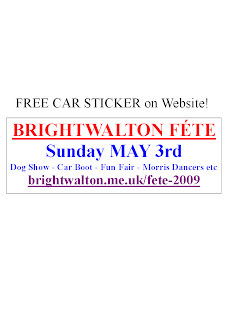 Brightwalton and Villages: Free Brightwalton Fete Car Sticker! Here is a Free Car Sticker. Would you like me to pop one through your door all laminated and ready to sellotape on? 'Free Car Sticker' as Subject.